I hope your Memorial Day was drier than ours. 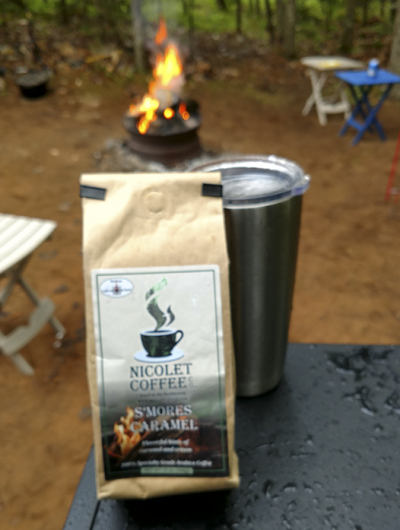 It was nice to stay warm however with a nice hot cup of S’Mores Caramel this weekend. 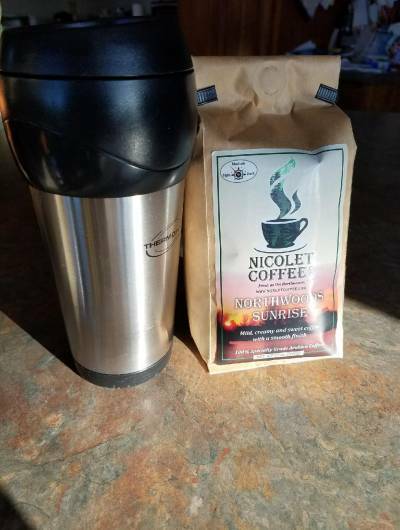 Today’s cup of perfection thanks to Northwoods Sunrise.  What a beautiful morning in the Northwoods! 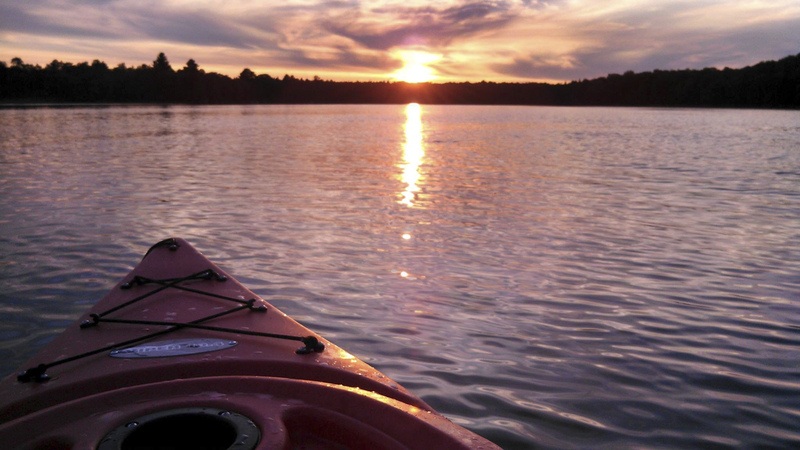 I got up early this morning and took the kayak out onto the lake with a big mug of Smores Carmel coffee….YUM, definitely my favorite. Floating on the lake, sipping coffee, listening to the sounds of nature…no better way to start the day. 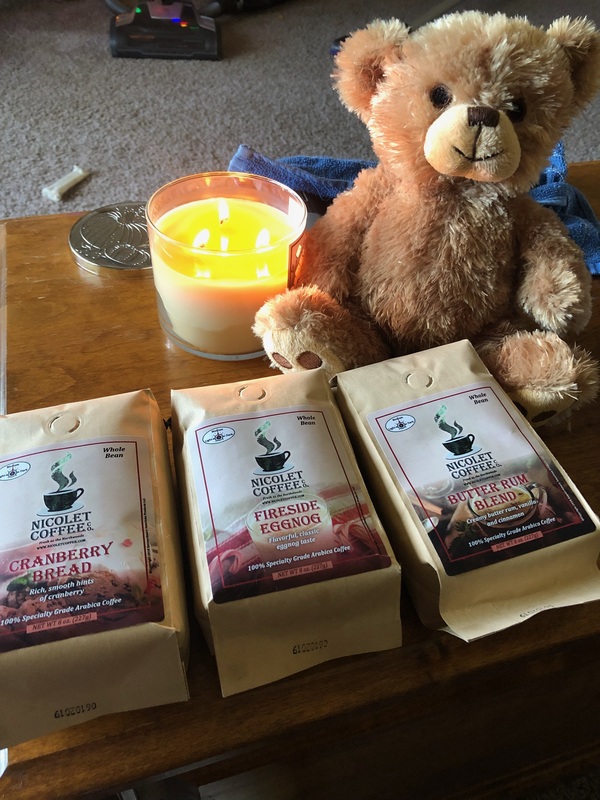 I just opened my Holiday Favorites gift pack, the coffee smells so good and I love the little bear, how cute....all the flavors look so yummy. 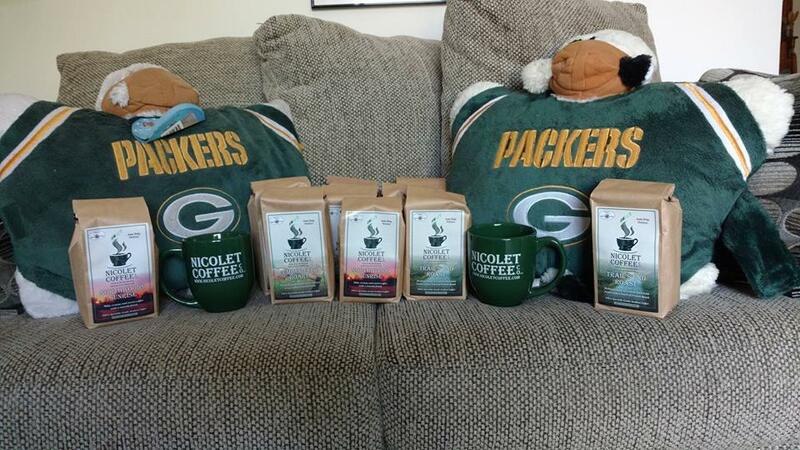 There is nothing better than a cup of Nicolet Coffee and the Green Bay Packers. Thanks again, Nicolet. 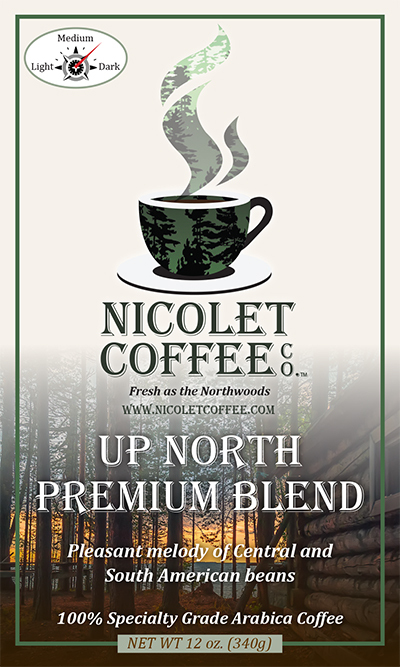 “The Up North Premium Blend makes a fantastic espresso. Beautiful crema, rich and smooth. I’ve got a French Roast on order. I’ll let you know what I think about it." 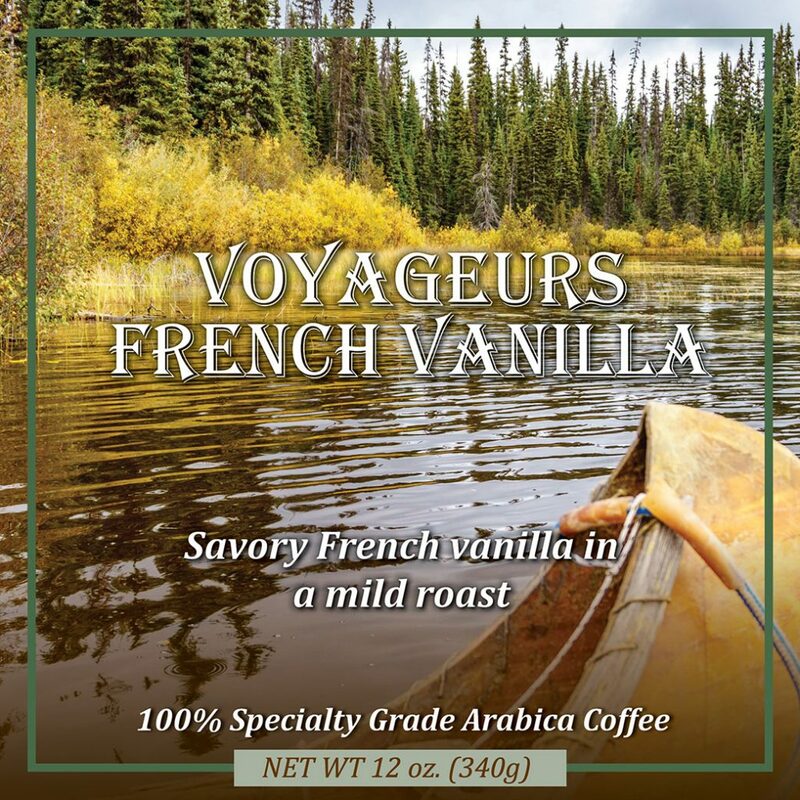 “I tried the Voyageur Vanilla this morning in my Hario V-60–I could get addicted to this stuff! Great vanilla taste without being cloying! …. On weekdays I use a Melitta to make enough for my thermos. I’ll let you know when I open the rest! Cheers!"